As the main activities in Alert are winding down, it’s time to draw breath before the next leg of the campaign kicks off in Svalbard and Greenland. The UCL team has been looking back at what has been achieved over the last week. After arriving in Alert, bad weather initially prevented the aircraft from flying to the experiment sites. 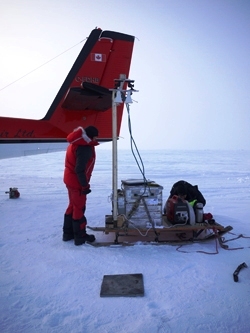 However, a break in the weather and safe arrival of the DTU team with the precious ASIRAS instrument on 13 April meant that everything was in place to get the campaign off the ground. 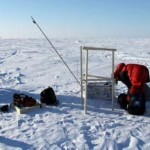 The break in the weather held so that they were able to survey both experiment sites. 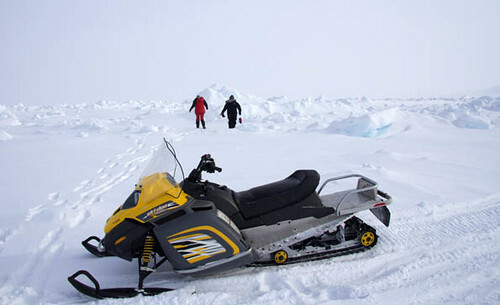 The northerly site is 85.58° N – less than 500 km from the North Pole. Landing here incurred several bounces as the plane touched down. After unloading, the plane then left to cool down its skis. 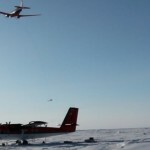 The skis get so hot during landing that if the plane just stops it will freeze solid to the ice, making it impossible to move again – clearly, not a good idea when you’re 400 km from base. Both sites were marked out with flags and then the corner reflectors are erected and tarpaulins placed on the ground to help the aircraft locate the line. 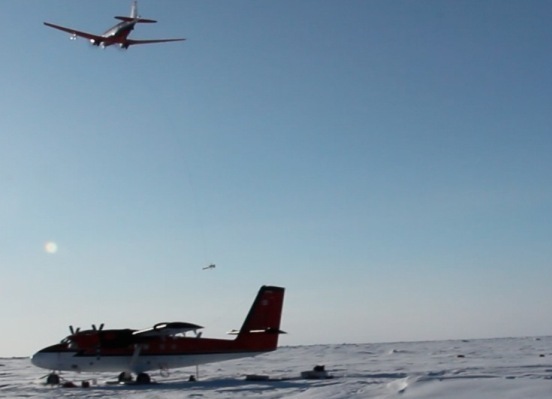 With the sites set up, the aircraft were able to make their survey flights over the following days. 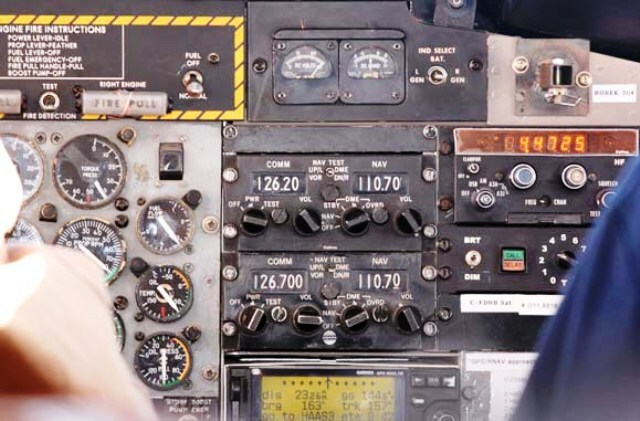 This includes the DTU Twin Otter carrying the ASIRAS instrument, the AWI Polar-5 towing the torpedo-shaped electromagnetic sensor and the NASA P-3 aircraft. 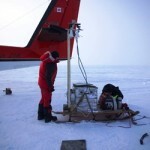 The Polar-5 flight proved a little disconcerting as the instrument hangs from the plane, just 10 m above the ground. 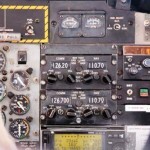 The plane itself only flies at an altitude of about 200 ft while it’s taking measurements. Friday 15 April was a significant milestone in the campaign as the coordinated NASA underflight of CryoSat went perfectly. It’s been a pretty intense period and we’ve worked flat out in the hostile Arctic environment, and always at the mercy of incoming cloud. This sometimes means waiting for the cloud to lift before the planes can take off and be sure of a safe landing on the precarious floating sea ice. Although it’s been a busy few days working in extremely cold conditions, the team did have a little time to take a few snaps, showing the beauty the Arctic holds. For example, this was a beautiful ridge at the site formed as two ice floes push together. 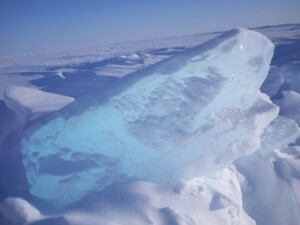 The ice buckles up and down in large blocks, leaving exposed lumps of blue ice on the surface. The ridge also had a very deep cavity. 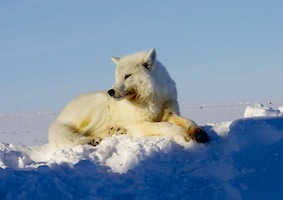 This photo shows one the Arctic wolves from the pack living around the Alert base.